From The Antique Collector July 1949, and I guess photographed at the same time, just after the end of The Second World War. 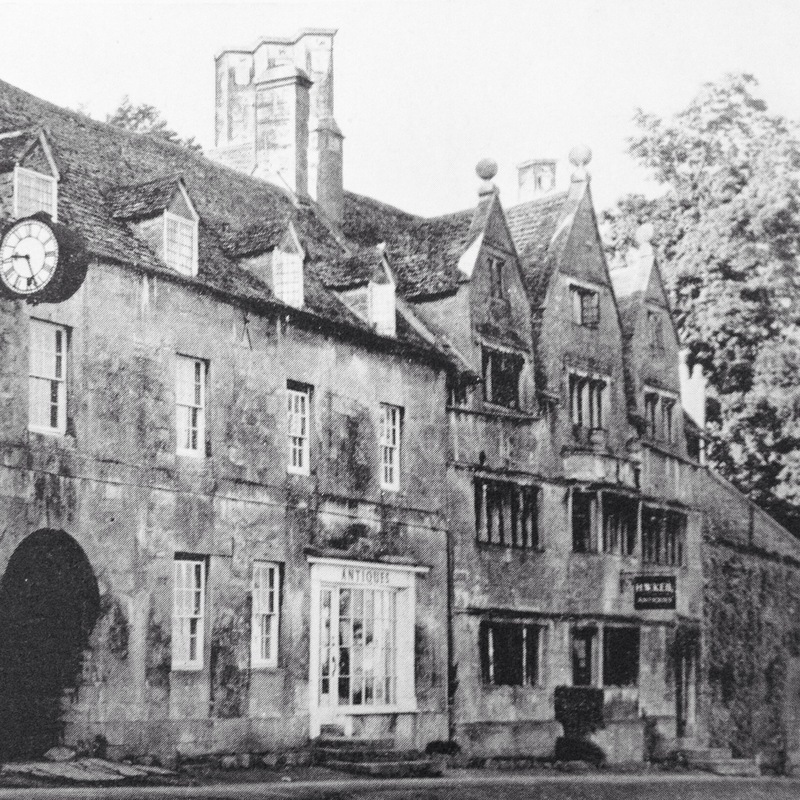 The premises of H.W.Keil, Tudor House, Broadway, Worcestershire. 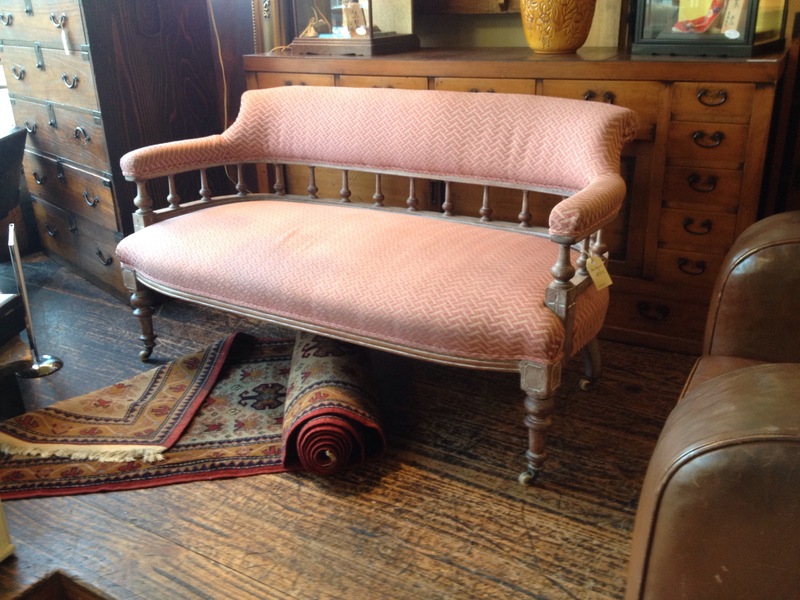 Antique compact sofa, settee. Reupholstered sympathetically with a limed frame and white ceramic castors. c 1890. $595. grays303	. Couches, Lighting, Lounge suites, Uncategorized	. 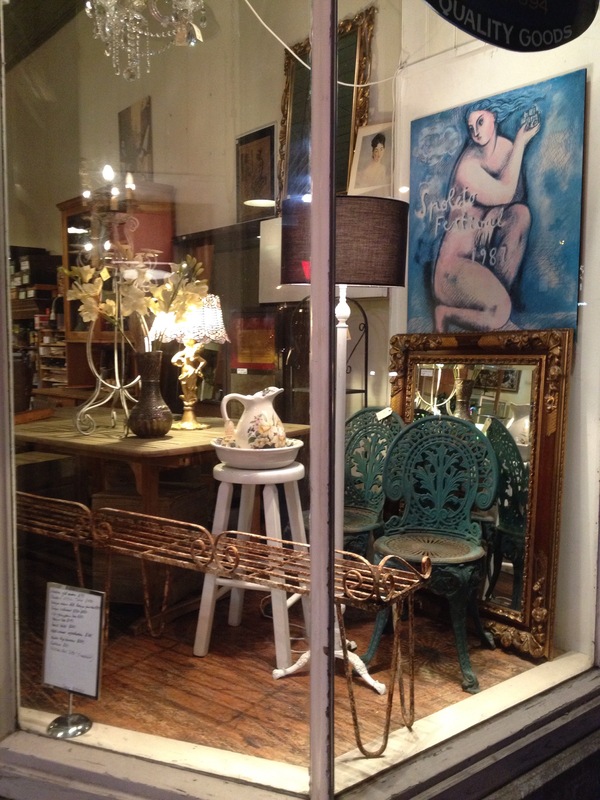 Belgian, boudoir, chaise longue, couch, Dutch, lightfitting, lighting, old lights. a reproduction chaise longue with brass castors and generous seating $890. And above a Dutch light fitting from about 1950, nine candles in all. $690. 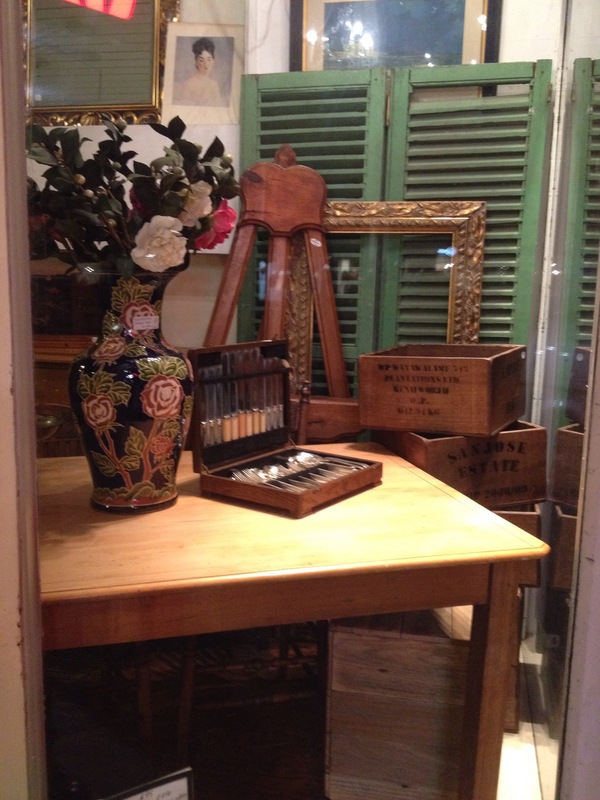 A carpentry table or workbench apparently from Lithuania. Quite a clever and attractive design with two vices. If only life was still so simple.